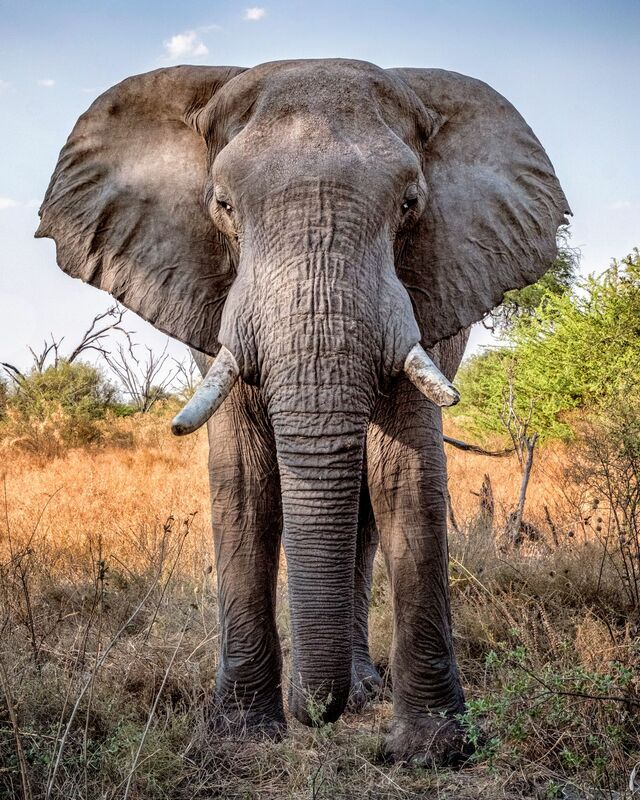 The world’s largest land mammal, with a natural lifespan of 50 to 70 years in the wild, the African bush elephant (Loxodonta africana) has a gestation period of 22 months, the longest among mammals. It is born into a family unit of closely related females (cows) and their calves, led by a matriarch. Matriarchs and other older females constitute the collective historical memory of the group, a vital source of knowledge about the location of water holes, seasonal food sources, and migration routes. When the family unit grows beyond ten to fifteen related females and their calves, it will usually split but continue to maintain strong bonds between the related groups, as indicated by signs of affection and excitement at times of reunion. The related females will normally bond for life, while the males will leave the extended family at puberty, forming unstable groups with other young males (bulls) but eventually becoming relatively solitary. Calves are cared for not only by their biological mothers but also by other female members of the family (allomothers). Although calves are able to move with the herd quite soon after birth and can eat solid food well before they reach one year of age, they normally continue to nurse for up to five years. While females are able to reproduce by around 12 to 15 years, males cannot normally successfully begin to compete sexually until they reach at least 25. Estrous females can emit sounds far below the range of human hearing that travel long distances to attract males. 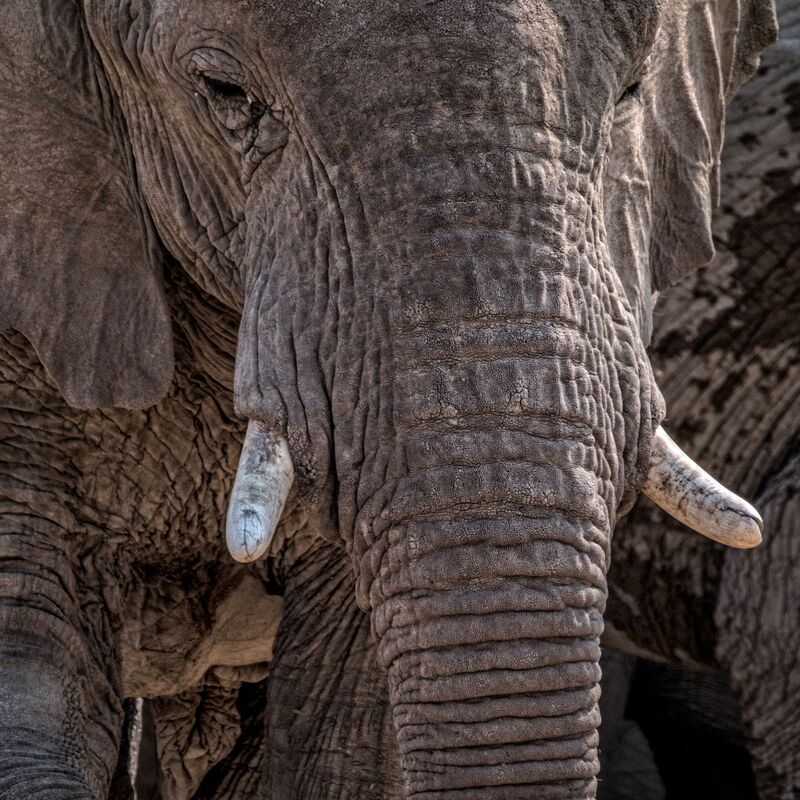 Although both male and female mature African elephants have tusks, in other physical aspects they exhibit marked sexual dimorphism, the males being substantially larger and heavier. In addition to tusks, distinctive morphological features include large, wide ears that radiate heat, disproportionately large heads, and feet with toenails. 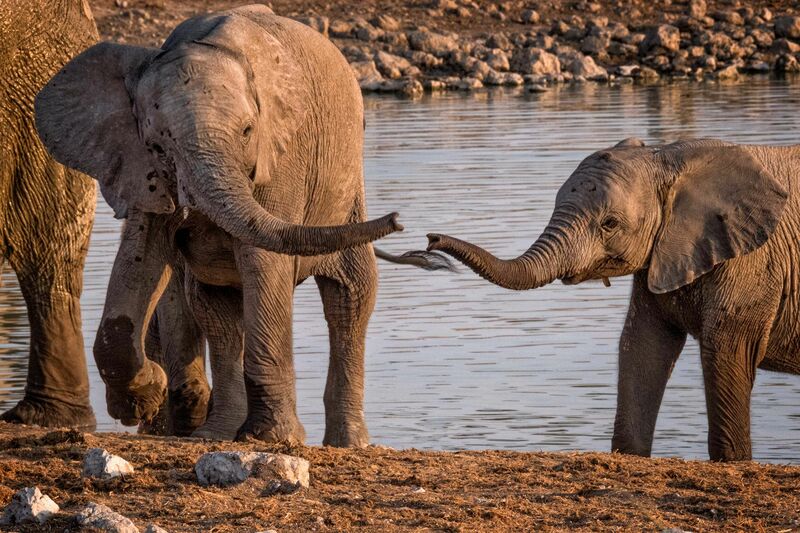 But perhaps the elephant’s most distinctive organ is its remarkably dexterous and expressive trunk—reputedly containing around 100,000 muscles and ending in a pair of finger-like protrusions for grasping small objects. 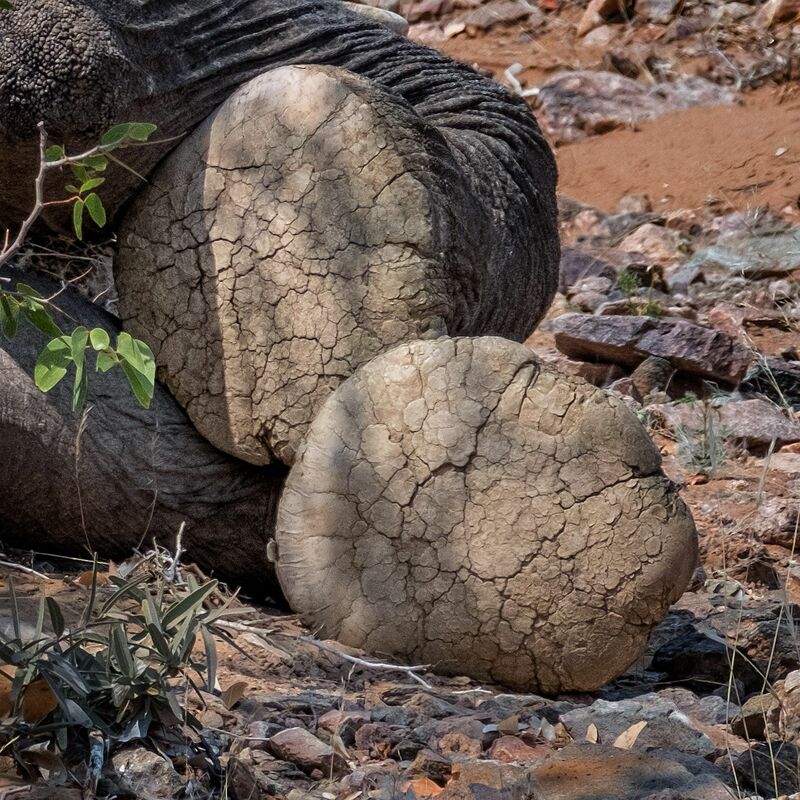 The trunk is the essential means of feeding, drinking, trumpeting, gathering and spraying water and dust to cool and protect the elephant's sensitive skin, and to engage in a wide range of social interactions from play to comfort, from courtship to battle. 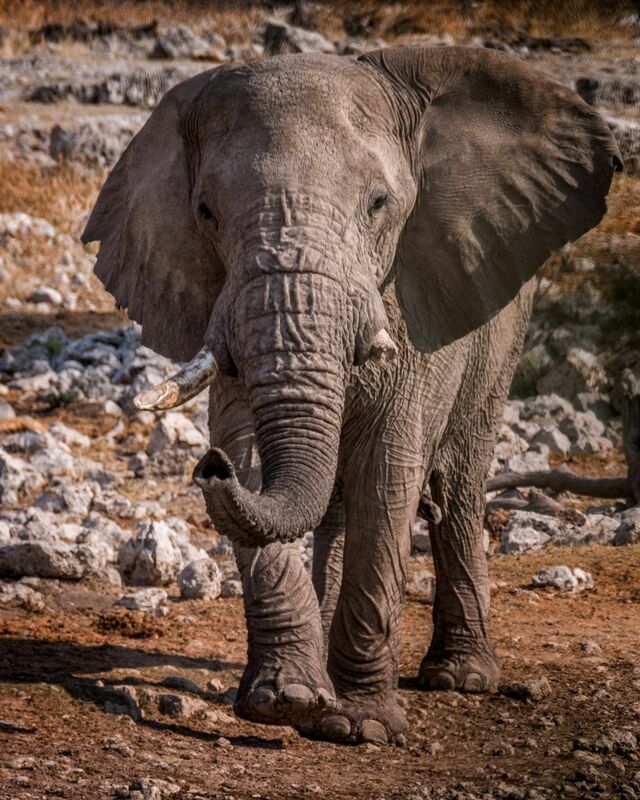 In their sociability, their long period of childhood nurture, learning and play, the size, structure and complexity of their brains, and their manifestation of such behaviors as compassion, mourning, cooperation, memory, play, learning and tool use, African elephants have many essential traits in common with primates, including humans. It is a painful fact that humans also present by far the greatest threat to their continued survival, both through competition for land and resources and through unchecked poaching. Their numbers and their range have been drastically reduced during the past couple of decades and they are now considered vulnerable to extinction. It is only in Botswana, Zimbabwe and northern Namibia where they still exist in large and healthy populations. The images in this portfolio were shot in northern Botswana and Namibia. 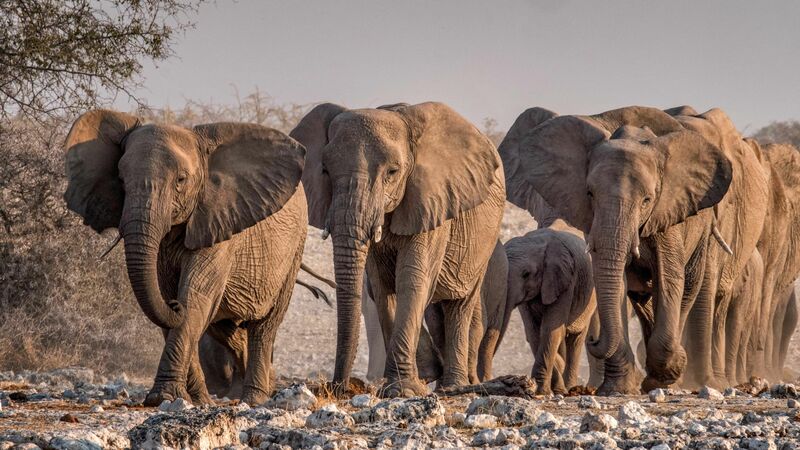 Multiple opportunities to encounter and observe healthy and relatively secure groups of African bush elephants displaying the whole range of their interactions and behaviors proved the greatest privilege and pleasure of my time in southern Africa.